These last few weeks, my cousin Bree and I have been sorting through my Grandma Peachy's belongings. Don't worry: Peachy's not dead, just downsizing. Peachy's a pistol. Here's a picture of her as a new bride, looking as soft and sweet as cotton candy. 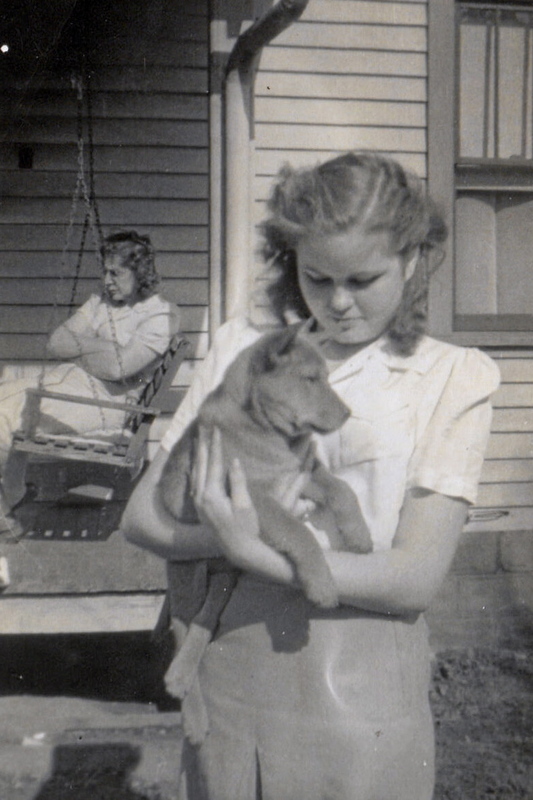 That's her mother-in-law, my Granny Mabel, on the porch swing, scowling like she'd been gnawing on a lemon rind. I know she gave Peachy heck every chance she got. When my mama was six and Aunt Jenny was eight, Grandpa Clem tried (and failed) to rob a bank and got sent to the federal pen. Peachy managed to run the ranch on her own, wrangling the drifters who passed for ranch hands and raising two wayward little girls. She learned to shoot and spit and smoke a pipe, and she could do a job of work as well as any man. 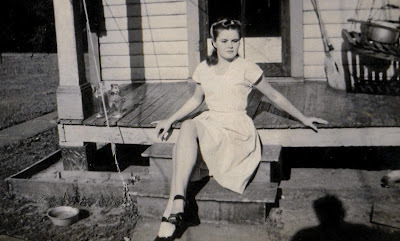 Most days she wore denims and boots, but when she got dolled up she could have given Jane Russell a run for her money. Some of my best memories are of summers and long weekends at Peachy's ranch. The breathy sigh of coffee in the percolator beneath the frantic sizzle of pork sausage and sunny-up eggs, the chocolate cherry scent of Grandma's pipe tobacco mingling with the bright green of freshly scythed grass, her smoky laugh carried through the window screens on the cool night breeze. When Aunt Jenny was hopping from no-account man to no-account man and my own mama couldn’t swim her way out of a gin bottle, Peachy played mama and daddy both to me and Bree. After more than fifty years of managing her ranch, Peachy's decided she’s tired of carrying that burden on her slim, strong shoulders. She's moved into a lovely assisted living facility called Tarleton Ranch. She's got her own studio apartment, a slew of old biddies to boss around, and a little plot where she can grow thornless blackberry canes. Her only complaint? They won’t let her smoke, so she has to sneak out behind the kitchen with the high school boys who wash the dishes. Last I heard, she'd won nearly twenty bucks off them playing blackjack. While Peachy's taking the busboys for all their pocket money, Bree and I are sorting through all the stuff that wouldn't fit in her cute new apartment: half-finished craft projects, a lifetime of letters and postcards, boxes filled with twist ties and rubber bands . . . you get the idea. The most interesting, though, is a whole garbage bag filled with romance novels. 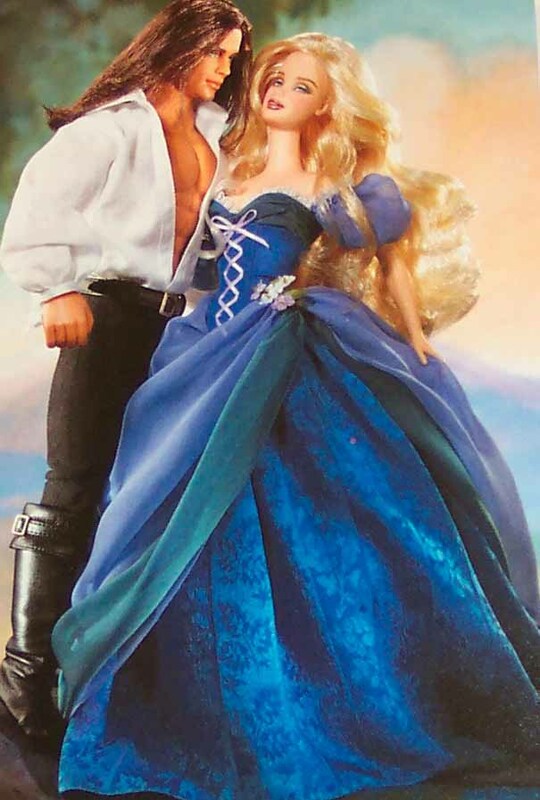 Not sweet little romances, but full-on old-fashioned bodice rippers. I never would have pegged Peachy for a romance reader. Not ever. It got me thinking: If folks had to go through my closets right now, what would they find? What would it say about me? How about you? What sort of stuff do you have lurking beneath your beds and in your attics? Anything that would surprise your kith and kin? Like to win stuff? Killer Characters gives you two ways to win every month. This month, sign up on our vertical response form (in the sidebar) for a chance to win a cool prize from Christy Evans (if you've signed up once, you're signed up forever!). Leave comments on the posts this month, and you'll be entered for a chance to win a $10 gift certificate to Mystery Lovers Bookshop. Visit our Contests page for more information and the complete rules and regs. Hmmm, well what would NOT surprise my family is my horde of scrapbook supplies or my treasure trove of books. Maybe that I still have my mother's Nancy Drew, Cherry Ames, Vicki Barr, Dana Girls books. I love those books, and sometimes still read them when not feeling good. I love your peachy grandmother. What a hoot! My ex-husband and I inherited our historic house from his Aunt Faye, who used to be quite the hostess in her day. I bought out my ex in our divorce, but there's still a tiny attic storage space stuffed with her mementos. I really ought to look through them one of these days. I have my late mother's things in storage and am trying to work up the energy to go through them. Scrapbooks and sheet music. Since I inherited the house I'm living in, and still haven't sorted through all the belonging, I'd probably be as surprised as anyone by what's around here. Among a box of treasures Mom saved is a rusty horseshoe (mule?) neatly wrapped in tissue and marked "Grand Canyon, 1933". She would have been 19. A story we never heard. Among my box of treasures will be a picture of my two blue-gloved hands holding steady two ends of old bone for the photographer. And, of course, a special clutch of small rocks. Ah, Cleone ... I bet I know exactly whose bone that is. What a mystery that will be someday. I think books are fascinating keepsakes. Did the person read the book? Enjoy it? If it was a gift, why was it chosen? They're such emotional objects, books. Like Leann, I guess my family would be surprised at the number of shoes I have. Also, the number of books I have tucked away in every corner of almost every room. Closets are my favorite thing. Mine has shoes for sure. Some of them might even make the shoe museum! Of course, a lot of my shoes get destroyed when I am sleuthing. Jack Reilly's closet, now that's full of bike parts and Hawaiian shirts. I love Peachy! I wish I had a Grandma or any relatives. There's just my famous mother. Don't ask. I'll be just as surprised as anyone at what they find. Hi, Peachy. What would my closet say about me? I like red! Your grandmother IS a real peach! Great pictures. Lots and lots of old diaries in my closet and bureau drawers! If anyone looked under my bed or checked the closets, they might find a cat. With 8 cats, practically no where in the house is "cat-free." I have no room to store anything in my tiny Manhattan walk-up. My closet it full of sewing and embroidery supplies. My sewing machine lives on my one and only table. I eat standing up. More space for my hobbies would be nice. See? She really wants to move to a place where she can spread out. And I know the perfect village for her... But, shhh! Don't tell her. We'll let her figure it out for herself. Peachy sounds like someone I'd like to know! Thanks for introducing her to us here. Of course, I'm sure Charlotte Adams could help with all those closets you and your cousin are sorting through. I know *I'd* like to learn more about what you find, too! Well, right now people would not find much interesting in my closets but they would find a TON in my scrapbooking room! Sadly, I'm not sure anything interesting would be found in my closets. However, the amount of books I own could be surprising. My bookshelves are overflowing and as a result, I have books in a couple piles in our office.